We recently had the privilege of getting a SureFire 2211 to review. 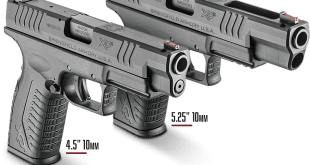 The SureFire 2211 is a brand new class of lights that was designed with the help of active duty law enforcement and an advanced team of SureFire engineers. We tested this light in 3 different environments. 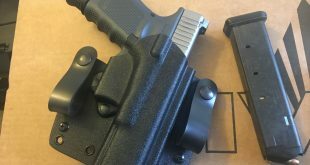 Before we give you the results of our testing lets take a look at the technical specs and claims made by SureFire related to the 2211 wrist light. SureFire is a leader in marketing and lighting technology. There is no surprise here the light comes packaged in a very attractive box that is packed with precision cut foam. This is much like how I have received high end watches I have purchased in the past. Included with the light is a USB based charger that can be plugged into the wall much like an Iphone charger. The light came pre-charged so the initial charge took little to no time. Manipulation of the ambidextrous on/off switches was very easy. Further getting used to the various low/med/high outputs was intuitive and easy to remember while using. The wristband was comfortable and though the light is made out of hard-anodized aerospace aluminum with a built in battery the 3.7 ounces of weight was easily manageable. Here in Southeast Michigan this Halloween was a rainy mess. At about 6:15 my son 5 other children and 2 other dads embarked on our annual visit to our neighbors begging for candy. During said annual event I often begin with empty hands and by the end of the trip am often holding face masks, capes, swords, candy bags and any number of other things my child feels he no longer needs. As such I have traditionally used a headlamp as my light source due to hands being overloaded. This year we replaced the headlamp with the Surefire 2211 wrist light. Here is the pros and cons of using this lighting system. Headlamps often blind your friends of a similar height during communication as well as children whom you talk to. The wrist light was far easier to manage and avoid blasting unexpected victims in the face. Unless wearing a hat, headlamps often shift around and I find myself adjusting them repeatedly. The 2211 wrist light stayed in place the entire time. The light was usable for the entire 1.5 hour ordeal. The 1.25 hour runtime for the 200 lumens is actually 1.25 hours until performance drops below 10% of maximum output. Actual usage will continue for a longer period of time in a properly maintained battery. Actually in this test the only con is I would not need such an expensive light for this application. So in short if all you’re going to do is go trick-or-treating with this light save your money and buy something else. My son loves the Cub Scouts and it is a great opportunity for me to bond with him. Each year we head to D-Bar-A in Metamora for the Cub Scout Camp Out. This is a 2 night event that allows them to get many requirements for various badges out of the way. It also often allows them the opportunity to earn the coveted Polar Bear badge for sleeping outdoors at a sanctioned event under 32 degrees F. The event begins on a Friday night and since the sun goes down so early here much of the setup occurs in the dark. This included hauling the firewood, kitchen gear and tent setup. Hauling the wood for many of the dad’s was a bear. We had no light readily available and carrying a flashlight while carrying wood is often difficult at best. The wrist light really shined (hahaha) at this part of the trip. As with test 1 using a wrist light over a headlamp resulted in less blinding of other individuals. Tying the wrist light to branches, tent poles and other objects resulted in a spot light that was secured. This was a huge advantage over the headlamps or flashlights I saw other parents using. It would be on par with a lantern but with 1 less item to have to carry. More then one parent lost his cool when a child came back to the mess hall without a flashlight. While kids had lost lights left and right my son came back with the light attached to his wrist. This is the only light I will consider giving him. Last year he lost a headlamp and 2 cheap flashlights. What really surprised me is that my son did not kill the battery. I know he had not run around with it on the entire time he was playing with his friends but a nightly charge kept this light with enough juice to make it from dark till bunk time. Like in test 1 this is a bit expensive for the occasional camping trip. However if you are a regular hiker or camper this might be an excellent purchase for the price. This is what he light was made for. Engineered for the demands of police on duty this light is designed as part weapon light, part primary light and part backup light. It was on this test that the price tag associated with this item proved its worth as more then just a novelty. The light generated at the 200 lumens high setting is more then enough to incapacitate or at least stun a threat. This will give you the advantage and time to determine if the person/animal is a friendly or foe and take appropriate action. The hand free advantage of a wrist-mounted light allows you to always have light pointed where you need it without sacrificing your ability to grip your weapon. Having a light mounted off your gun allows you to shine light without pointing a weapon. You may want to check the status of friendly’s or family in a Home defense situation. 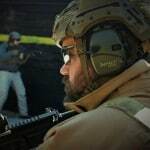 The ability to point with your wrist and not your gun ads safety to the situation. 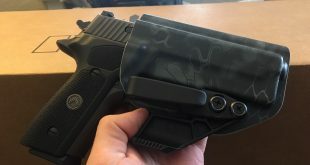 Having a light off gun means you can have one set of holsters instead of having to transition between various holsters based on using or not using a weapon light. Multiple light settings of 15 lumens, 60 lumens and 200 lumens allow you to adjust based on the amount of night vision you need to maintain. Balancing lower light with the ability to blind an attacker. As you move the light is consistent with your motions much like a weapon light. Rechargeable batteries that can be charged in a squad car, via a solar charger or typical outlet offer a large advantage over disposable batteries. Charging indicator lets you know if you’re at risk of running out of light before you go into a situation. You cannot turn the light on/off or adjust the light settings while gripping your weapon. This is specifically mentioned in the safety brochure included with the light. If you watch SureFire’s marketing videos you will see the users engage the light prior to draw and not adjust at all during operation. When wanting to go dark in the low light no light course this was a disadvantage. When using this light you will be broadcasting hey bad guy here I am. As in most situations law enforcement are not taking a concealed approach this can be a moot point. 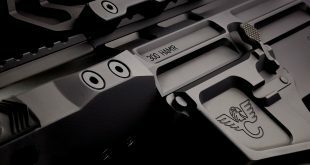 In a home defense situation it is unlikely you will have time to grab your gun and fasten this to your wrist. This is more designed to wear during a patrol or when going into a situation as opposed to having a situation thrust upon you. For LEO’s this is a fantastic purchase. 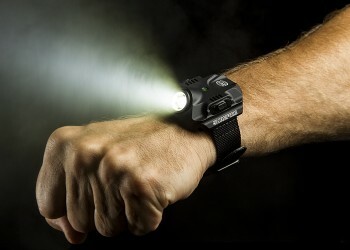 For active outdoors people who are often in the dark and unable to hold a flashlight it is a great solution. As an option in a HD it is a great option but I would use it as a backup light not the primary. I would still advise having a weapon mounted light in a home situation as you are likely to not have the time to don this item. The product is sturdy and held up to both me and my son going at it no holds barred. The battery life is inline with competitive weapon lights. The ability to recharge over disposable batteries makes this a great solution if you have a solar charger in the woods or if your often in a car. Previous Tactical Backpacks What Makes them Tactical?